Wedding Tent Rentals or special event tent rentals are our specialty. If you have decided on an outside venue for your event, you are going to want to consider a tent rental. Here are several reasons why tent rentals are so important. 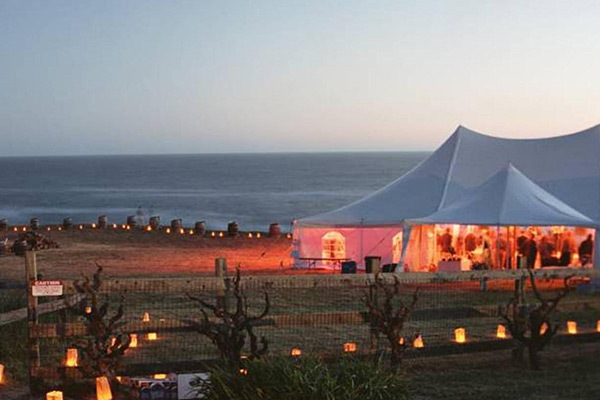 First, tent rentals protect you and your guests from the unpredictable outcomes of the weather. If it rains or rain is threatening your big day, having a tent will let you relax and know that your event will be under protection and keep everything dry. Or the other extreme, Alabama heat can be another concern. Not to worry, having a tent will allow you to not only provide shade for your guests, but also allow a platform for connecting cooling fans to keep your guests even more cool. 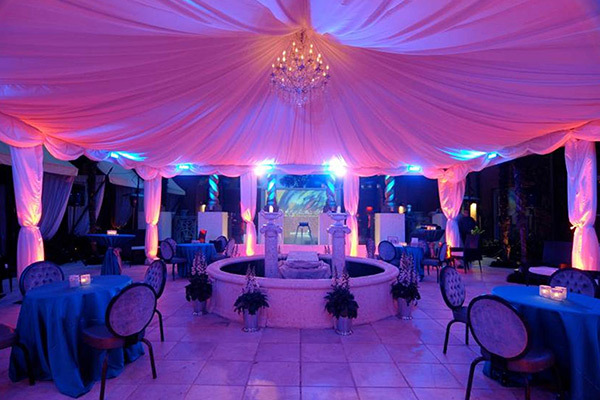 Lastly, tents allow for a lot of customization to make your venue look exactly how you have always dreamed. 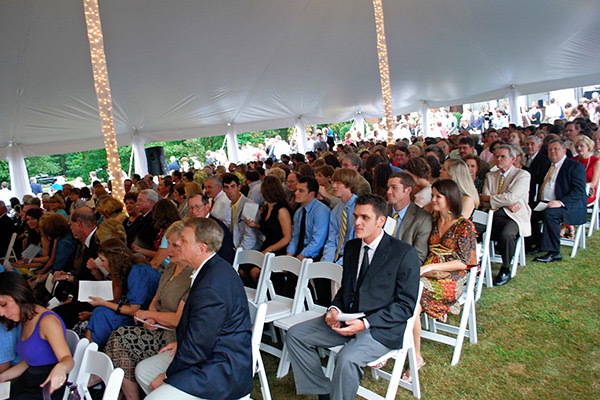 Your Alabama wedding has a wide variety of tent types and tent sizes. Several items to consider when picking out your tent is the surface of your venue as well as the number of guests you expect at your event. Our frame tents are versatile and we are able to set them up on any surface. However, our pole tents require the ability to stake them down. We have a large selection of tent sizes to meet the needs of any size event. Don’t let all of these details worry you. We would love to help you customize your tent rental package. In fact, we totally love putting together tent packages for special events. Our tents can be enhanced with some of our beautiful and functional tent accessories. We offer tent sides, which can be solid or have windows. Tent lighting is a way to add a stunning touch of elegance. There is a lot that you can do to create special effects with lighting and monogram lighting. We also offer ceiling liners, tent leg drapes and many more ways to customize your tent to look exactly as you have always dreamed of. If you need table, chair or tent rentals anywhere in the Birmingham or Hoover, Alabama area, Give us a call today at (205) 631-2670. Our experienced planners love to help plan special events and we can’t wait to see how beautiful your wedding is going to be! We offer a full line of tents for every need. Tents that are 30 feet wide or less are frame tents and can be set up on any surface, secured with stakes or water barrels. To secure with water barrels add $10 per barrel. 40-foot tents are elegant pole tents and must be used on a surface where they can be secured with stakes. We offer everything you need for your tent including ceiling liners, tent lighting, monogram lighting, and special effects – Prices Upon Request.